WHO'S OUT THERE? 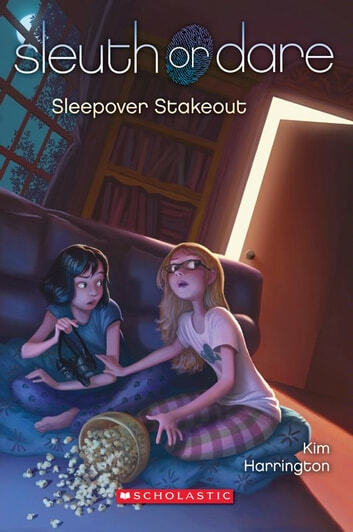 Norah and Darcy's detective agency, Partners in Crime, is taking on new and chilling case. The girls' classmate, Maya, is hearing strange, crackling voices coming over the baby monitor while she's babysitting late at night. Maya is worried someone might be in danger. To help investigate, Norah and Darcy join her for a sleepover stakeout. In between eating snacks and watching TV, the girls are on high alert for anything suspicious. Soon, they stumble upon a mysterious secret they never could have imagined - but Norah and Darcy clash over how to interpret the new clues. Can the girls get past their differences to see their way to the truth?